Ras Al Khor Wildlife Sanctuary, Dubai, United Arab Emirates, is a wetland reserve renowned for attracting migratory birds in large numbers. The wetlands have large numbers of birds, crustaceans, small mammals and fish. 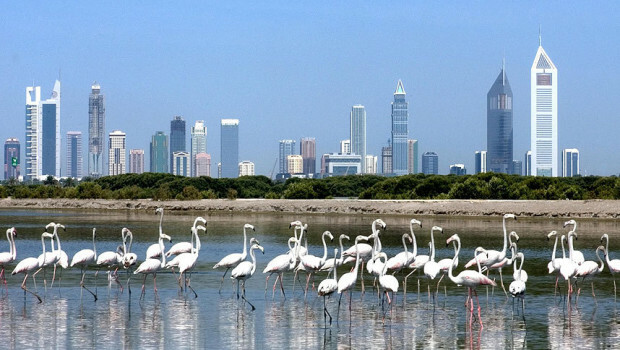 Ras Al Khor Wildlife Sanctuary represents an enclave of relative wilderness amidst swirling traffic and sprawling urban infrastructure. Located just as the name in Arabic suggests - at the Cape of the Creek, it is among the few urban protected areas of the world. Opportunities for experiencing a natural environment in this rapidly building-up emirate are so limited that the opening of Ras Al Khor to visitors is a boon to present and potential nature lovers. Presently there are three birding hides located on the perimeter of the sanctuary open to the public. Entrance is free and operate from 9:00 am to 4:00 pm Saturday to Thursday. 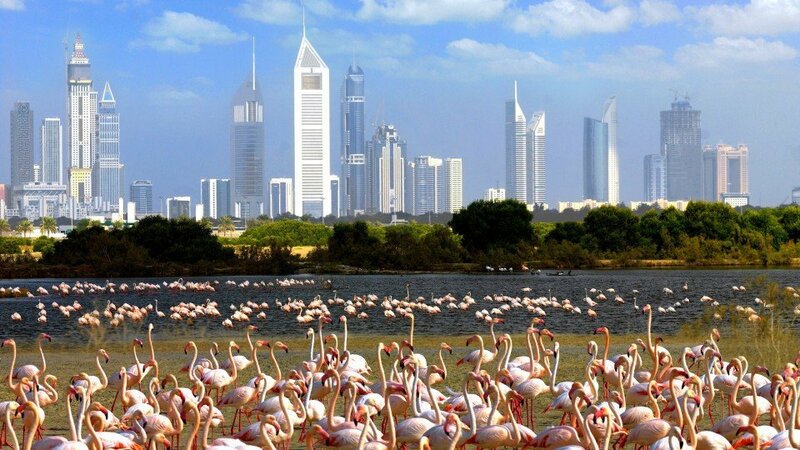 Ras Al Khor is also home to about 500 greater flamingoes (Phoenicopterus roseus), which has become something of a mascot for Dubai's Wild Life protection program.